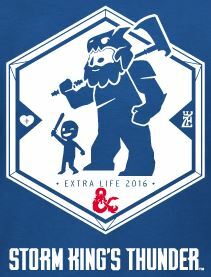 On September 17th I joined Wizards of the Coast to participate in Extra-Life, raising funds for children’s hospitals! Helping with Extra-Life means a lot to me as a parent. When our children are sick, especially with a serious illness, it is terrible and frightening. It becomes a true nightmare if we lack the funds to pay for care. Wizards of the Coast has helped families in these situations by raising more than $52,000 (and counting) this year, and more than $269,000 since 2013! You can still donate to my page, and you can give to receive this awesome D&D T-Shirt! The game was a ton of fun! You can watch my session, or see a playlist with each of the games. Character Race: Rock Gnome – chosen by Karl Resch! Character Class: Mystic from the revised Unearthed Arcana playtest, of the Order of the Awakened – chosen by Jim Wnorowski! Psionic Talents: Mind Thrust and Light Step (plus Mind Meld and Thought Spear from Order of the Awakened) – chosen by Paul Van Arcken! Alignment: Neutral Good, the hero without bias against order and chaos – chosen by Karl Resch! Flaw: I pronounce the silent letters in all words. I am a rock gnome (rahk guh-nome). And I correct everyone on how they speak. – chosen by Paul Van Arcken! Skill training in Perception and History (to help my knowledge of languages) and Expert in Perception (to never miss a silent syllable) – Chosen by Richard Malena! Name: Rudiger Rabbletuk – Chosen by Twitter! I’ve written about character generation and developing a backstory before, but this is a different challenge and approach. Here is the process I utilized to help those aspects picked by donors to really shine. I look at race as a cultural identity and worldview and then I think through what aspects I want to heighten or downplay. Once I knew I would be a psionic mystic, I knew that despite being small, I would not see the world as a child. If anything, I would overcompensate because my mind is strong. I’m not happy-go-lucky and whimsical like a halfling. I do think of gnomes as potentially comedic, but in this case the jokes would be ones I don’t get – because I’m being serious as I do things others see as comical. As a gnome, I often think about ties to the natural world and the earth – given a choice I will feel at home with the outdoors, with biology and ecology, and with creatures (no matter how strange). And, of course, I had to work on a voice. I’ve played several gnomes in the past (including a mildly insane gnome psion in 4E), so I tried out a few voices and practiced a few times. I wanted to sound like a gnome professor. I think that went well! The Mystic is a psion, and a fun choice since it is still in playtest form. I had a few powers thanks to Paul, and also my flaw around how I pronounce things. In choosing my psionic disciplines I tried to heighten those aspects. Mind Vault lets me instantly gain a proficiency, which is a great professor power, and it even lets me learn a language for 8 hours! This started to really define me as a professor in linguistics. Conquering Mind and Mind Over Emotion both let me show my psion’s mental strength, allowing me to charm or even take over other weaker minds. That really fit the idea of this gnome overcompensating! Finally, I took Intellect Fortress as a toolkit defensive power and Psionic Restoration as a way to help the party if they needed healing. For a group game like this, I want to facilitate others. I look for a few ways I can help others shine or get them back into the action. Alignment doesn’t see the emphasis it had in 3E and earlier editions, but I still use it as a guide. I like how Karl specified a bit more: the hero without bias against chaos or order. I decided my heart was in the right place, but my professor nature would not result in rigidity. I was more of an experimenter, and willing to try and learn. I would take risks, give others the freedom to do what they want, and have respect for their worldview. When I got to the table, Chloe Monroe revealed she was also playing a rock gnome and suggested I be her brother. Then I learned her character had alcoholism. I would care about her and guide her, but not in too absolute a way. My flaw was a real challenge at first. I thought about it a good deal the first day Paul proposed it, turning it over in my head. I asked him for a list of words I might over-pronounce, and he sent me a link to a site. I wrote down about 20 of those to possibly use during the game. I also used that flaw as a real core of my personality – the professor aspect and being a linguist. It ended up being as important for the character as being a psion. And, it became the obvious way for my character to be fun. I could be this genius intelligence psion, but I would have this behavior that would make others laugh at me. That was a great balance, making the character a fun challenge for me and still fun and perhaps even endearing for others. There is room for practice here, to avoid being annoying, but over the course of a campaign it could really work well and become memorable. I had a Bond regarding why I was here (perhaps an old relationship had thrown me out, saying he/she would not take me back until I traveled/adventured), but Chloe’s idea around my sister really worked better and became my bond. My Ideal would be knowledge, and my Personality Traits were to expect others to have weak minds and that I always think they want to learn from me. Beyond being enablers of what we can do in the game, skills can really reinforce the character. Rich picked Perception and History, and I made a note to really use those during play. That worked really well, especially with some hot dice and the bonuses from being a rock gnome (since the adventure had a lot of alchemy, tech, and magic). We added training in Arcana, Insight, Investigation, and Persuasion. These all reinforced my psion/gnome/professor concept. One nice thing about 5E is that almost all skills see use, so you really can’t hurt yourself with choices. I can really overthink a name, and with little time I turned to Twitter. 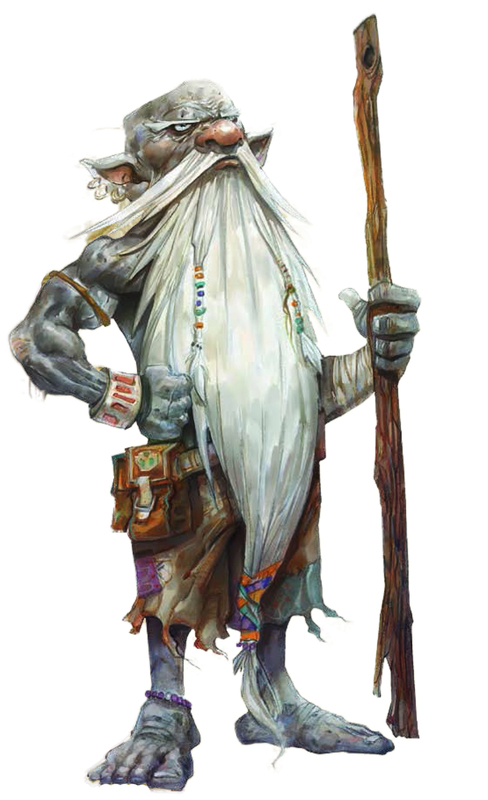 I ended up taking two suggestions and taking the first and last names to make Rudiger Rabbletuk – a fine name for a gnomish psion professor! One of the ways I worked through my voice was to say my name over and over again. I figured it was one of the first things I would say during the livestream, so it would act as a mnemonic device to help me recall the way my voice should sound. I’ve used that trick in the past – say a catchphrase over and over and it becomes easy to recall the voice you use. Speaking of catchphrases, my friend Krishna (whose last name I used last year as my character name) donated a catchphrase… except the message cut off. All I received was: “Being language obsessed it would have to be punny. Like”. Clearly, he was about to tell me my catchphrase. But, after discussing it with Derek Guder, I decide to just read that quote in its entirety as my catchphrase, and it was all the sillier for not making any sense whatsoever! As a rock gnome I can have a clockwork device. I asked the livestream what it should be, and someone suggested a miniature Chris Perkins that shoots a green flame. I thought that was funny, and considered how I could add a psionic investigation sensor to it or otherwise use it. It didn’t really come up, but it was good for a round of “Green Flame!” and surely would see use in future adventures. Part of the fun of character creation are these bits we use over time. We can’t expect everything to come up in a single session, and that’s okay. Last week was really amazing. In addition to the Extra-Life livestream and helping to raise more than $700 (wow, thank you!!! ), I delighted in hearing from people who took a peak at Cloud Giant’s Bargain, the adventure that was given out during PAX. The awesome Down With D&D podcast talked about the adventure and I really appreciated how they broke down what it offers. The DM tips and fun play were really my major design goals, so I’m really happy that they liked those aspects. Speaking of Misdirected Mark podcasts, I really am digging the hosts of the Cypher Speak podcast – they rock this podcast! I was a guest on the Going Last podcast to talk about the writing process for Cloud Giant’s Bargain and what it was like to try to bring Acquisitions Inc. to life for DMs and players. I love Rich and Kenna and would be on their podcast every week if they would let me! Extra-Life had some great thresholds and donations for me! One I am really excited about is working with Rob Kirker to expand Confrontation at Candlekeep to add an encounter based around the storied history of his players’ characters! Another amazing threshold is continuing the distribution of Ashes of Athas! On the writing side, we unlocked my working on a conversion of Five Deadly Shadows, a Kara-Tur adventure I wrote for 4E’s Dungeon 195 and really love DMing. 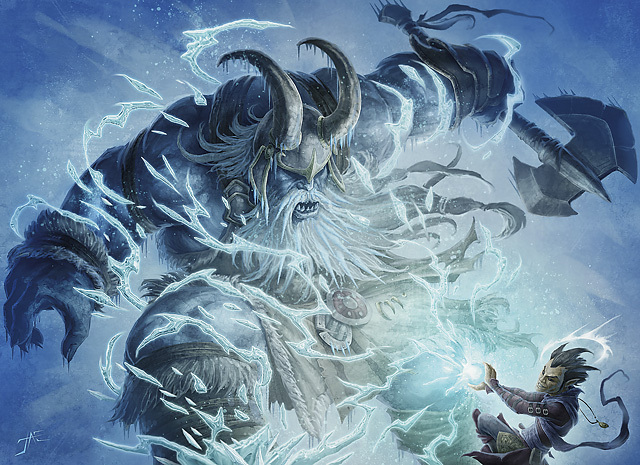 And, we unlocked a writing project I wasn’t sure I would prioritize, but which I now will: a lairs-style approach to short adventures based on Storm King’s Thunder and giants! I will have this on the guild before November! Thanks to the donors, this will be free during its first week to donors and Pay-What-You-Want for everyone else! You can still give to Extra-Life, and, collect on the cool rewards unlocked by donors – including excerpts from Storm King and a full res map of Faerun’s North! This entry was posted on September 22, 2016 by Alphastream and tagged 5E, Backstory, Character Building.